Clematis, originally uploaded by trekr. 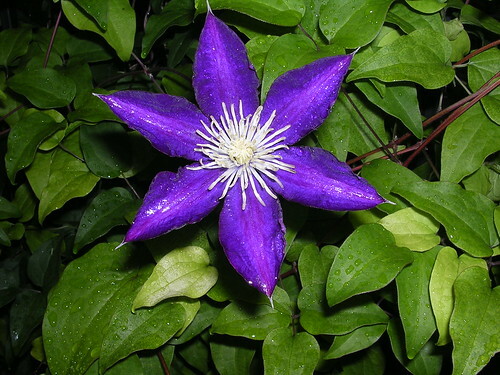 A great year for Clematis! The blooms are failing now as the days grow hotter. This photo was taken at dusk as the afternoon rain subsided. This entry was posted on Tuesday, May 22nd, 2007 at 7:04 pm	and is filed under Garden. You can follow any responses to this entry through the RSS 2.0 feed. You can leave a response, or trackback from your own site.